A: If you are looking for straight lease, you need to consider carefully how many years you want to lease the unit. Longer lease term will give you the ability to negotiate for lower rental rate but it may unnecessarily commit you to a lot of risks. For example, you may have to pay some huge penalties if you choose to pre-terminate your contract at some point in the future because you need to close down the business and you do not want to continue paying rentals anymore. This kind of scenario can happen in any competitive industry. Your coffee shop may be doing well in the first year but there is no assurance that you can always stay that way. If your location has good foot traffic, you can expect more competitors to come in your area, which can make your business less and less predictable. How long you need to lease a property will depend on how you see your business will perform in the future. In negotiating for your lease term, your landlord will most likely give you a shorter-term, say five years, with escalating clauses to ensure the increases in rentals in the coming years are properly covered. Make sure that you consider all the future increases in rental by preparing a financial projection to evaluate if your business can cover the additional costs. Increases in rental costs must be accompanied by increases in revenues. If you think that the increase in your revenues will not be able to justify the increase in rental costs, then you may have to negotiate with your landlord for reasonable adjustments. If your intention is to buy rather than rent, you have to consider the amount of money you need to invest in acquiring the property. 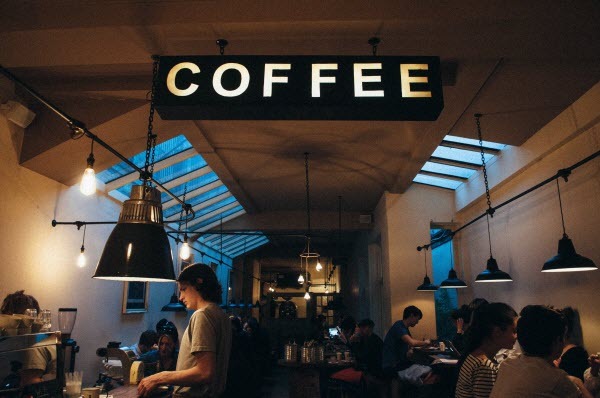 Your existing coffee shop may not be able to afford the cash outlay to buy the property. You may have to shell out some cash from your personal savings to consummate the transaction. If you have the cash and you think the selling price is reasonable, you can acquire the property as your personal investment separate from your existing business. Be careful not to drain your business too much with heavy capital expenditures as this may later on affect your working capital. When you own the property, you have the discretion on how much you want to lease it to your own coffee shop. You can support your business in the beginning by giving free rent to allow it to build its market and once it has become stable, you can always lease it at prevailing market rate. If in case your business failed to succeed, you can simply close it down and rent it to your competitors or maybe dispose it at good profit. The other alternative is to buy the property by installments. You can acquire the property by borrowing money from the bank to help you finance it. Normally, you will need to pay a portion of the selling price of the property as your down payment, which will serve as your equity while the balance shall be financed by the bank. For example, the appraised value of the property is P2 million ($43,322.67). Your bank can lend you P1.2 million ($25,992.07) which is 60% of P2 million. If this is the same price you agree with the seller, then you can need to cash out the balance of P800,000 ($17,327.84) to complete the purchase price. Paying by installments is like paying rent. You can make your monthly amortization more or less equal to the prevailing market rate of the property depending on the factors that you can get from the bank. One factor you need to consider is the number of years to pay and the interest rate. The longer the payment terms, the lower the monthly amortization payment. The same also goes with interest rate. The lower the interest rate, the lower the monthly amortization will be. Your objective is to negotiate for longer terms at lower interest rate so that your monthly amortization payment can be more or less equal to your monthly rent. Buying property needs careful planning. You need to manage your risk by buying at right price and terms. When you do this, you will have good chance of not only enhancing your business cash flows but also your personal wealth. Henry Ong, CMC, is president of Business Sense Financial Advisors. You can follow him at @henryong888 or email hong[at]businesssense.com.ph.